any aftermarket accessories that came with the car (including but not limited to wheels, suspension, exhaust, seats, stereo, mirrors, pedals, steering wheel, etc.) Circa 1995 Alpine radio with 6CD changer in trunk. Porsche OEM trickle charger. OEM car cover. Original owner's docu was removed by Porsche dealer prior to sale to P.O. very Minor oil seep on Cam chain cover, not worth fixing at this time. Only reason I give it an 8 is that it was sold Certified by a Porsche Dealer WITHOUT the Distributor vent kit or new ballast resistors. PPI was clean. Distributor belt looked ok despite 20 years of ozone. Still planning to replace this winter. Last edited by Laker; 10-21-2010 at 04:35 AM. any aftermarket accessories that came with the car (including but not limited to wheels, suspension, exhaust, seats, stereo, mirrors, pedals, steering wheel, etc. ):DAS rollbar, turbo twist wheels with toyos, Cup wheels with tires, H&R Reds, pedal kit, lots of spare "stuff"
the odd redhead sibling of the C2 964. I have a artical from Execellence feb 08 pg 102 where Bruce A. has a spread of 20-34k ? Does this car follow same curve as C2? your assessment of the vehicle history in terms of paperwork/receipts (1-10, 10 being highest) 10, all records from new! your assessment of the vehicle history in terms of paperwork/receipts (1-10, 10 being highest) 8, good paper trail, dealer stamps to 60K in the book. Took a look at the numbers posted here and it looks like there have been 218 good info submits. Of those 79 % or 172 out of 218, are North American posts, 31 Outside North America. 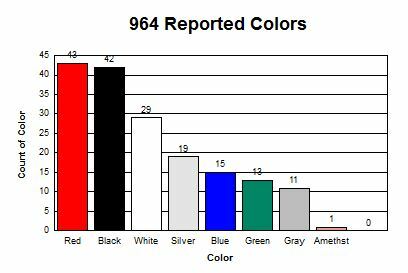 Ten of the 218 are incomplete and 5 are outliers. 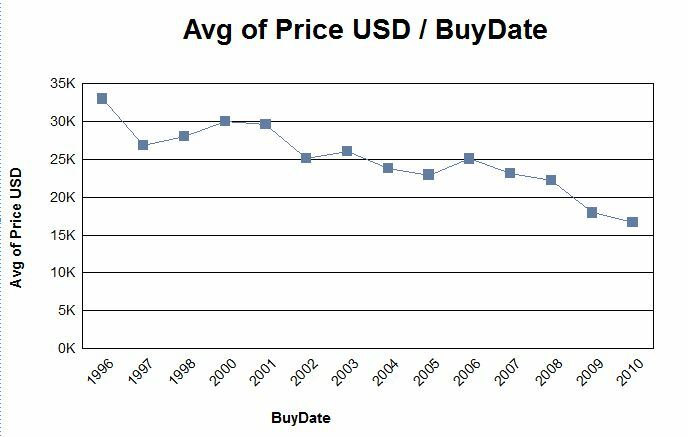 In North America since this post was initiated in 01-08-2006 to 11-30-2010, the average price regardless of model particulars come out at $22,634 USD. 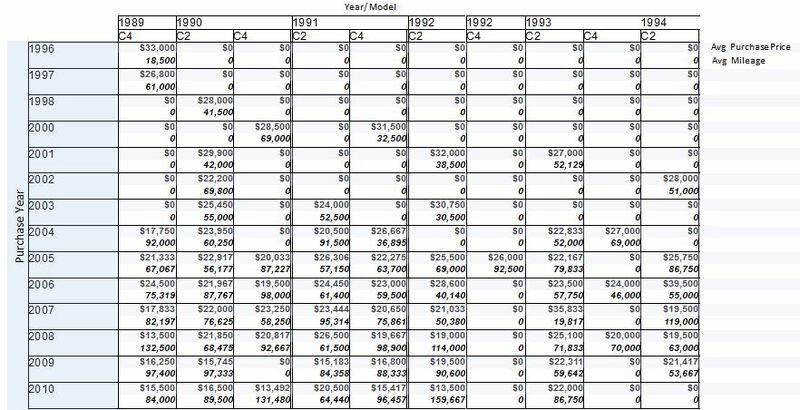 Attached are the average prices per year for all and by model. 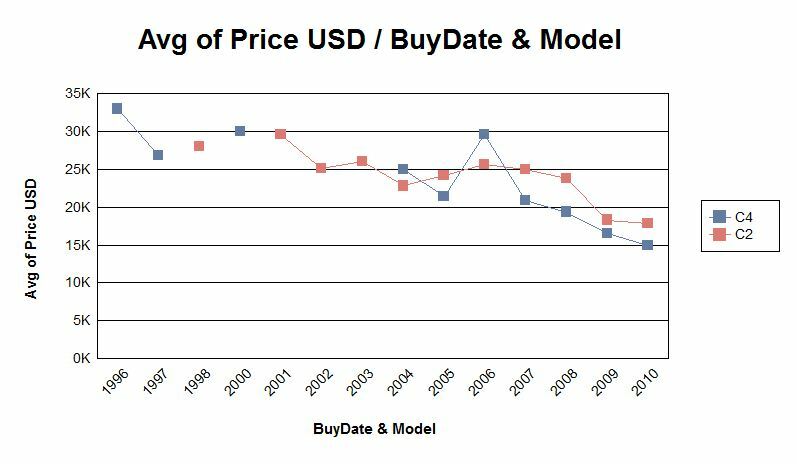 Breakdown of avg purchase price by year and model. What a prices over threre, prices in the Netherlands start at 29.000 dollar but a real nice 964 starts at about 40.000 dollar. 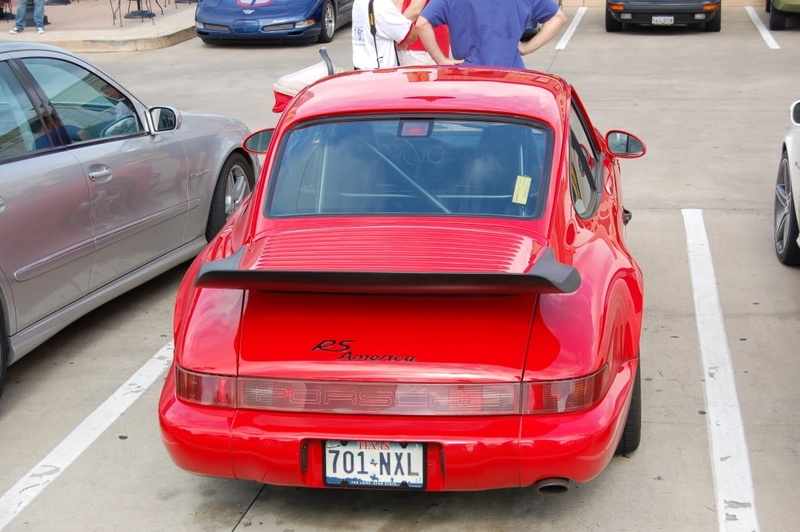 I'm looking for a new 964 where should i look if a want to import one out the US? Hi, I'm new to the site and was hoping someone might be able to give me a few ideas. I'm looking to buy a used 964, any year, not too bothered about milage or whether it might need a bit of work - the big thing is that I want to keep it to $10k. Anyone have any idea if this is even possible or do I need to reconsider?! I am new to using forums and thought I was a smart guy...except for the life of me I can not figure out how to post a question. When I go to the link on posting it tells me how to edit a post but not how to CREATE a post. Thanks for compiling the info and the graphs. Nice job MR.